President David Granger announced that he has gotten rid of his three of his advisors, including two former army chiefs, and has offered them executive positions. 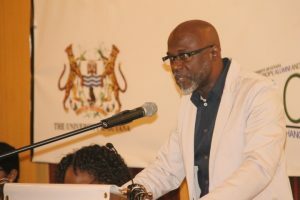 At his first press conference in just over two years, the Guyanese leader said Presidential Advisor on Youth Empowerment, Aubrey Norton; Presidential Advisor on Security; Retired Brigadier Edward Collins and Presidential Advisor on the Environment, Retired Rear Admiral, Gary Best have been let go of those posts. 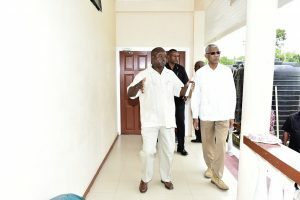 “Having come into office in May 2015, we sought their advice and their advisory functions have more or less come to an end and we have asked for them to accept executive functions, so yes we don’t need them in the role of advisors but we are likely to appoint them in the role of executive positions and that is being worked out,” Granger said. 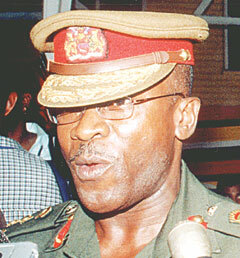 Former Chief-of-Staff of the Guyana Defence Force, Retired Brigadier Edward Collins. When contacted, Norton would only confirm that he has been advised of the decision, but he declined to say whether he has accepted the offer of an executive position. Norton referred all further enquiries to the Ministry of the Presidency. Best told Demerara Waves Online News said he and government were in discussions about the nature of the portfolio which could be in the wider public service. “I will be happy to contribute to the development of Guyana,” he said. The President said did not answer whether he planned to appoint Norton as the General Secretary of the People’s National Congress Reform, the largest party in the governing coalition. Norton, a former foreign service officer up to the 1990s, had served as General Secretary of his party for some time until he and then party leader, Desmond Hoyte parted ways. As Presidential Advisor on Youth Empowerment, Norton had spearheaded several training programmes aimed focussing on the development of entrepreneurial skills. He also played a major role in crafting the national youth development strategy.